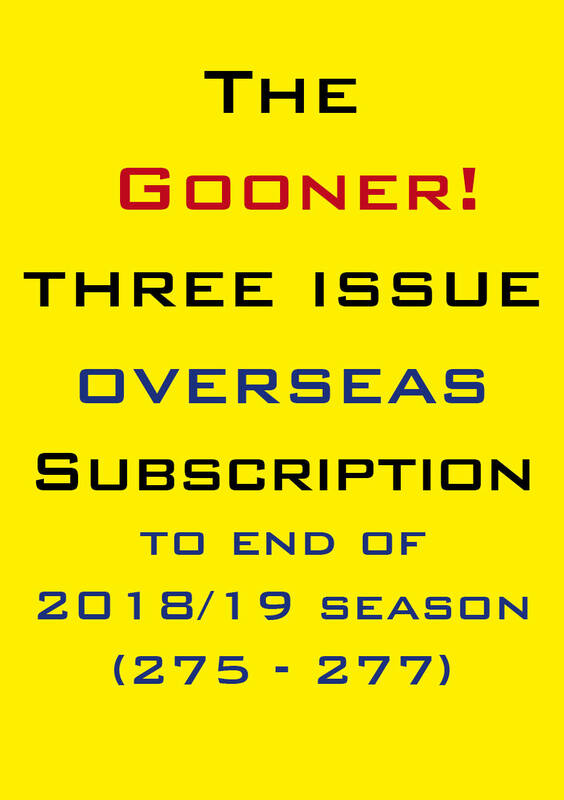 The remaining three issues of the 2018/19 season (from number 275 through to 277) delivered to you. 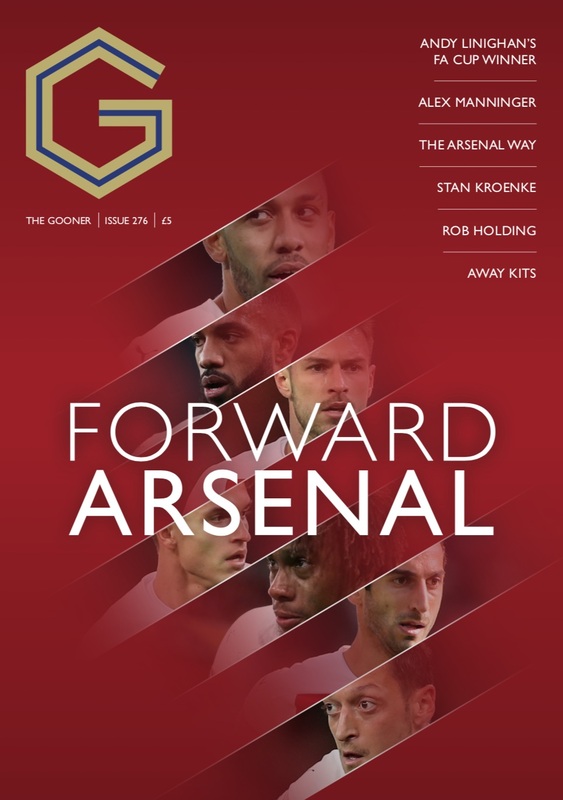 OPTION 1 - Right here through the online store! 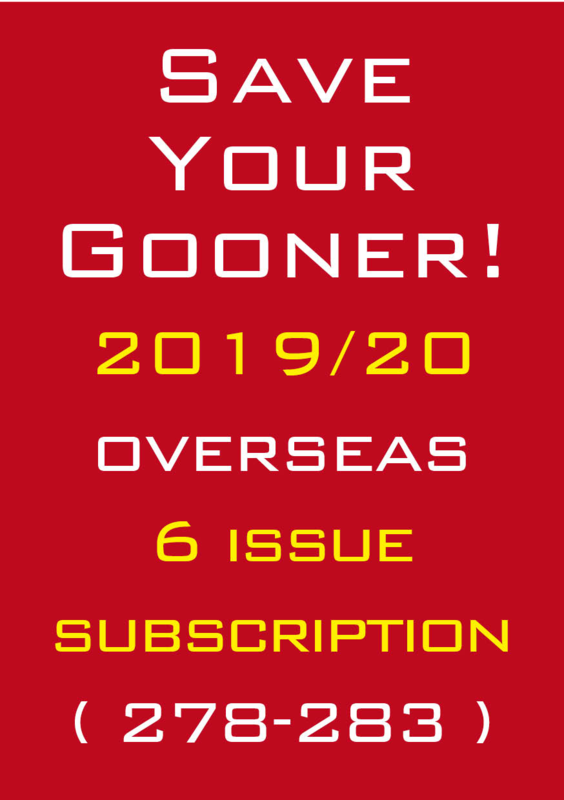 OPTION 4 - You can also simply make a direct PayPal payment to the email address thegoonerfanzine@btinternet.com for £21. If doing this, please make your payment a ‘friends and family’ / personal payment – this helps keep our costs down. 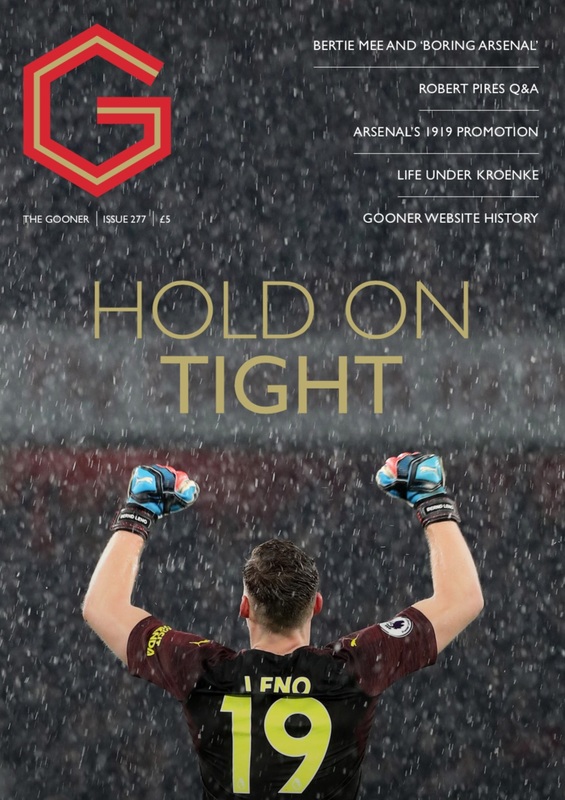 VERY IMPORTANT - If you do pay this way, please follow up with an email to thegoonerfanzine@btinternet.com informing us you have made a direct payment, because PayPal does not give us your address if you pay this way.